Thank you for your interest in helping us steward, beautify, and maintain Brooklyn's first park! 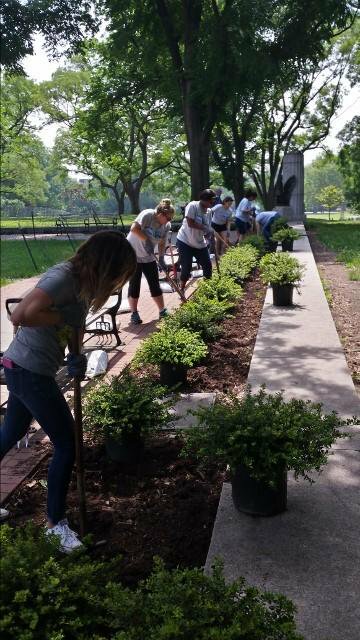 The Conservancy started as a group of volunteer gardeners working to beautify Fort Greene Park, and today, volunteers are some of the most important partners we have in building a better park. 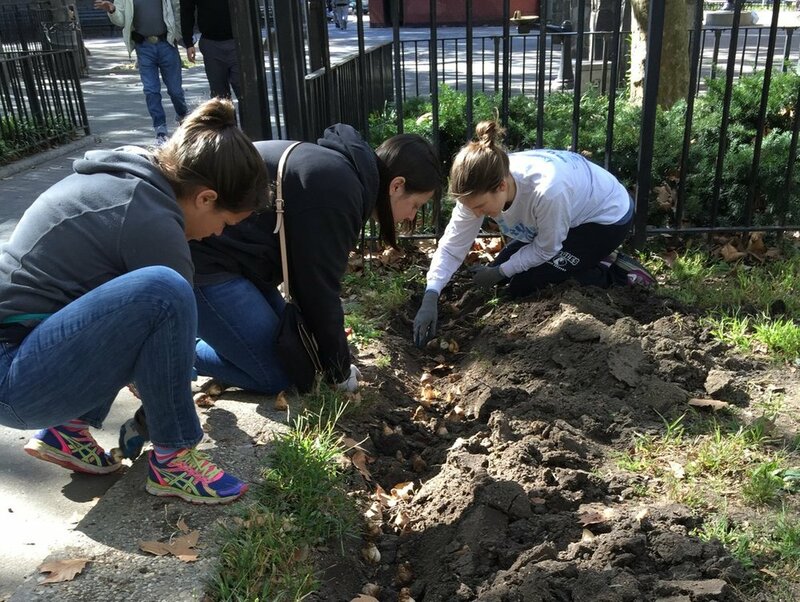 There are plenty of opportunities for individuals and groups to get their hands dirty in Fort Greene Park and spend some quality time with their neighbors, classmates, or co-workers. Whether you are a local resident or student looking for community service hours, or a corporate office in search of an amazing day of team-building, we are happy to help create the perfect volunteer experience custom-tailored to your needs! 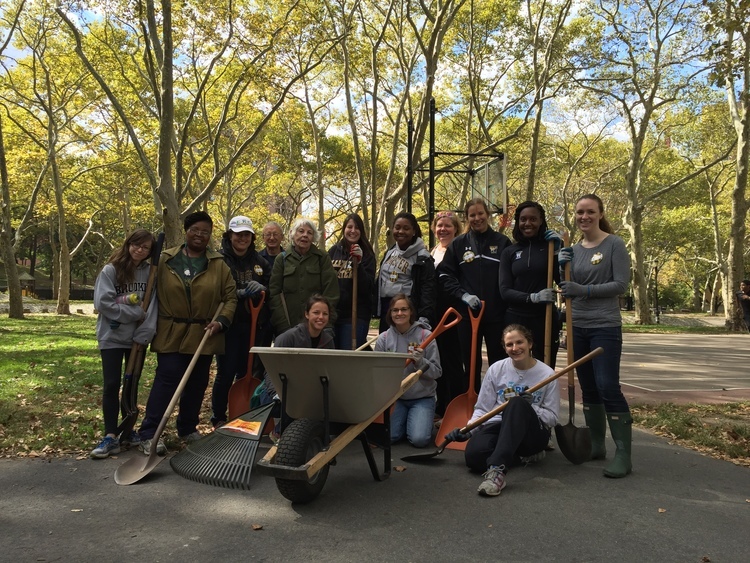 We welcome school, community, and corporate groups to volunteer at Fort Greene Park. School groups must have a Group leader, please email volunteer@fortgreenepark.org for more information. Corporate groups, please contact Julian Macrone: jmacrone@fortgreenepark.org for more information. Friday Volunteer Corps - Join our Friday Volunteer Corps to learn new skills, connect with your community, and gain community service hours. Volunteers will be assisting with general park maintenance, including, weeding, leaf raking, erosion control, and more. Volunteers will be working alongside a conservancy staff member during a shift of two hours on Fridays from 3pm to 5pm. Register for Friday Volunteer Corps here. Volunteer Gardeners Program - Be a part of our Volunteer Gardeners Program and work alongside a parks horticulturalist to help maintain the park's 35 garden beds. Volunteer gardeners meet on Thursday and Saturday mornings from 9:00-10:30 am. We ask Volunteer Gardeners to make a weekly commitment of 90 minutes and choose which day works best for them. To join, email volunteer@fortgreenepark.org. 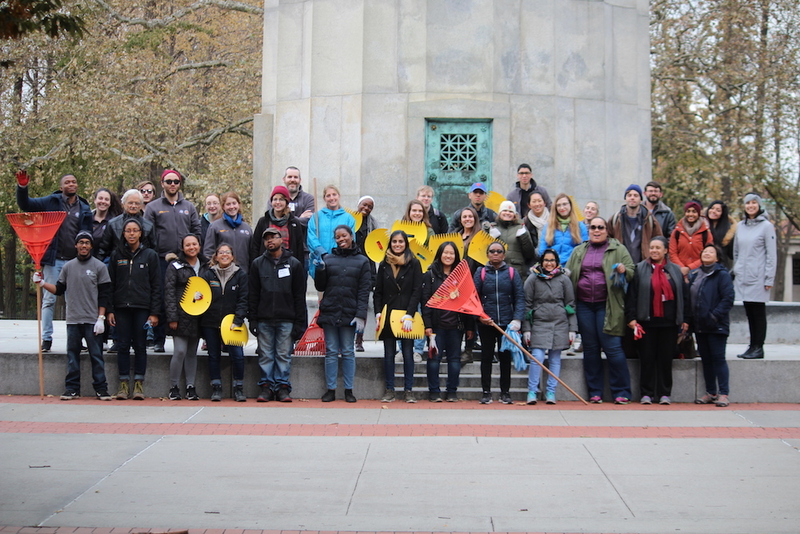 Spruce Up Fort Greene Park - Spend time outdoors with other volunteers at our Spruce Up events which are held biweekly on Saturdays from March until December (weather permitting). Stop by the park for two hours and help us keep the park clean and green by gardening, raking, cleaning, and planting in the park. 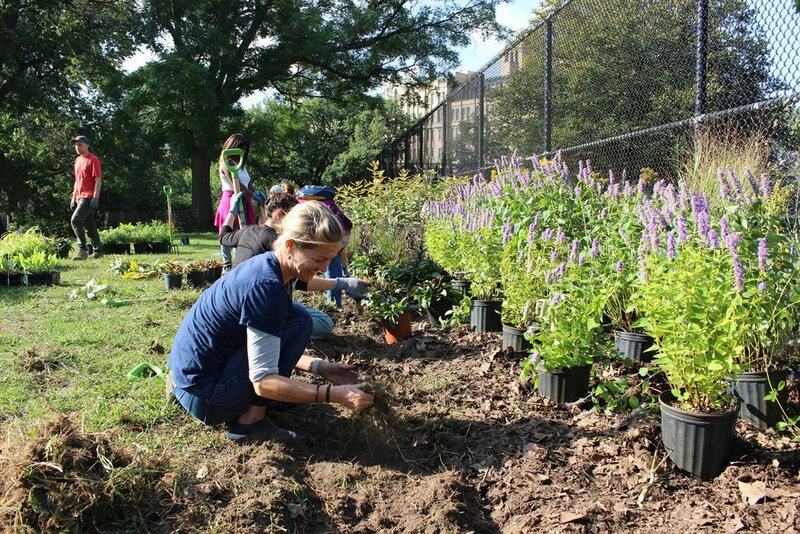 Register to Spruce Up Fort Greene Park here. Leaf No Trace - Come out to our annual fall raking event! Volunteers assist with raking and bagging leaves all over our park while enjoying the autumn weather. Help greet and educate park users who stop by the park by answering questions and handing out park brochures. Volunteers must submit an application and attend an orientation and training session. Please apply here. Halloween Festival - Come out for a day of Halloween fun by helping us set up and run our annual Halloween Festival. Volunteers will partake in a shift of their choice and gain hands on experience with event set up, management, and breakdown. Volunteers may also select the station of their choice for the main event which includes games, pumpkin patch, face painting, and more! Tree Lighting - Spread some holiday cheer and assist us with our annual tree lighting event. Volunteers will help with event set up and crowd management. Volunteer photographers - Take high quality photos of events and natural scenes in Fort Greene Park. Park photographers are vital to providing FGPC with visually engaging graphics for educational and promotional material. We might launch a blogger volunteer program in the future. We are looking for interested volunteer bloggers, who are skilled writers to author compelling blog posts on FGPC’s website and educate our online audience. Volunteer Leaders - Lend a hand at our many annual and recurring volunteer events and gain leadership skills! Committed and enthusiastic event team leaders work with FGPC staff to ensure major events run smoothly by preparing, organizing, and managing an assigned group of volunteers. If you are interested in becoming a Volunteer Leader, please email volunteer@fortgreenepark.org.